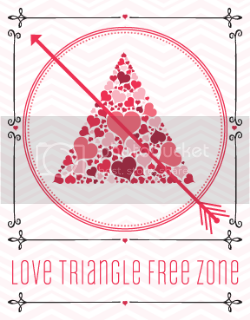 GoodReads: When Poppy learns that the love of her life, Freddie de Vere, is to marry someone else, she knows her heart will break. Devastated, she volunteers her nursing skills overseas to take her away from the painful reminders at home. But things are about to get much worse for Poppy. The journey to the hospital in Flanders is full of horrors, and when she arrives it is to find a spiteful ward Sister and unfriendly nurses. 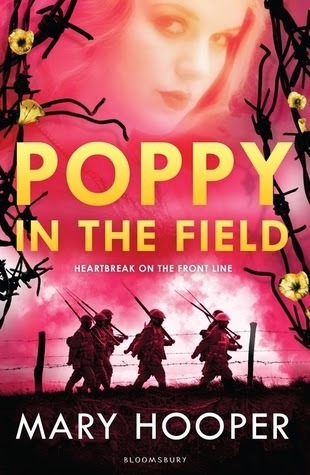 Despite her loneliness and homesickness, the dangers of frontline warfare soon make her forget her own troubles and Poppy finds that comfort for a broken heart can be found in the most unexpected places. 2015 so far has not been a very good year of reading for me. I just haven't been all that excited about any of the upcoming releases. May, however, is a month in which two of my most anticipated books are due out - Susan Ee's End of Days being one and Poppy in the Field being the other. So, needless to say that when I got this before the expected publication date I was very happy! It's obvious a lot of research has gone into this book as Hooper paints a vivid picture of what it was like for VADs on the front line. I've read a few books based on WW1 before, but never from the POV of a VAD so it was definitely an interesting experience. It made me appreciate just how hard these women worked. Poppy herself is an admirable mc, I loved her dedication to what she was doing and how keen she was to do her part for the war. Having transferred to a hospital in France Poppy is now on the front line, so the casualties brought in are much worse than those brought in England. It was horrible reading about the types of injuries men suffered during the war and the amount of death was shocking. It's not all death and gloom, though, there are some lighter moments as Poppy makes friends and is reacquainted with some familiar faces. I loved the wit and charm of the love interest, and also his honesty. The romance was really sweet and subtle, every time the he would appear I'd find myself smiling, because it felt so genuine. Overall, this was a great conclusion to Poppy's story, and it is my first four star read of the year! I haven't heard of this one at all! It sounds like a great historical fiction novel though so I'm going to check it out. Thanks for the recommendation, Renu.